﻿ What is a bat's mating habits? What is a bat's mating habits? Bats usually give birth in the spring, when the weather is nice, there are plenty of roosting spots on offer, and there is also an abundance of food. That's why most wild animals give birth in the spring, but bats are quite clever in the fact that they don't always mate right before they fall pregnant. Certain species of bat will mate in the fall, keep the sperm until the spring, and then fertilize the eggs. After a pregnancy that lasts a couple of months, the bats then give birth to one or two pups (again, depending on the species), that will stay with their mother until the fall hits again. The youngsters leave the nest, usually sexually mature within the first nine to twelve months, and the mother is free to mate again. 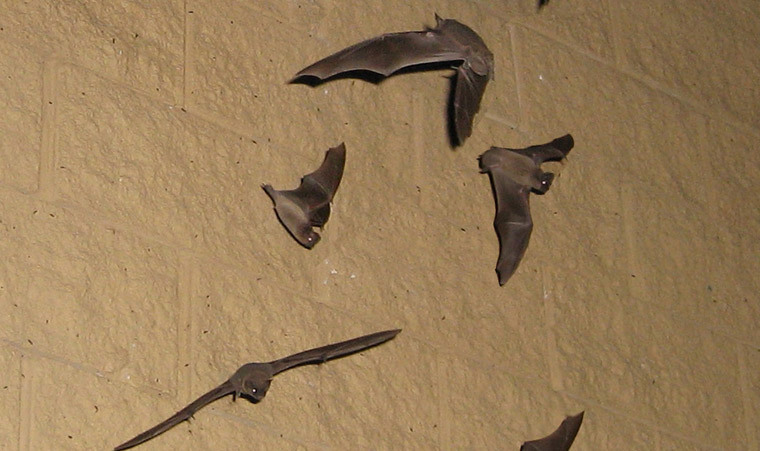 Knowing a bat's mating habits is essential to evicting a colony of them from your attic or building. You can't remove or evict the bats while they are raising young in the roost, so that puts most of spring and summer out the window. Bats in an attic are all female. Bat Maternity Colonies: What Are They & How to Get Rid of Them. If you attempt to evict them during this time, you'll only do half the job. Any exclusion devices will lock out the adult bats, leaving the youngsters in the nest. Sadly, they will die if they are not yet old enough to fend for themselves, without their mother. Waiting until much later on in the year won't work in your favor either. Once the weather turns colder again, the bats will look for a place to hibernate the winter away, if they don't migrate somewhere warmer. Once they have bedded down so to speak, moving them would be a deadly move. Bats hibernate and head into a state of torpor for the winter, and this slows down all of the bodily processes. If you wake them up with the intention of moving them along, not only will they be unlikely to find another roost spot before it gets too cold again, the stress of being woken up will cause them to work through their fat reserves at a much quicker pace. This, again, will kill them. Go back to the Bat Removal page, or learn about bats in the attic with my Bats in the Attic guide.